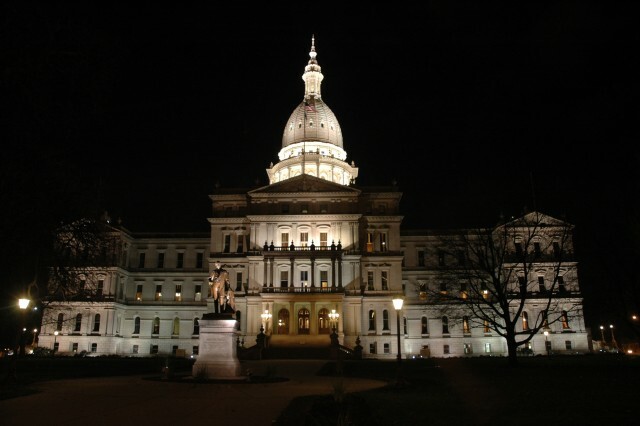 East Lansing is situated in the shadow of Michigan’s Capitol. 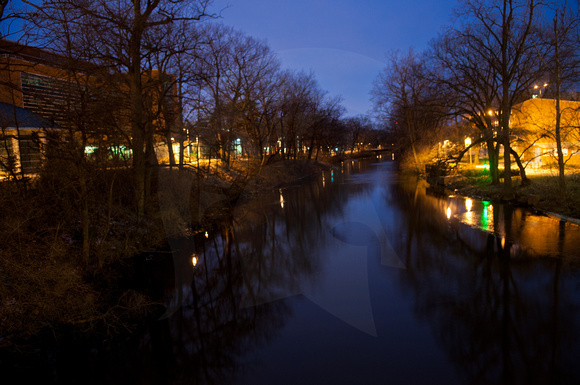 Along the banks of the Red Cedar River, Michigan State’s campus is within walking distance of downtown East Lansing and just ten minutes from downtown Lansing. Aside from a variety of bars and restaurants, the greater Lansing area has a number of natural features that are ideal for hiking, kayaking, swimming and boating. While MSU’s campus is conveniently situated on the Capitol Area Transit Authority’s (CATA) bus routes, it is important to note that Lansing, and Michigan in general, does not have a variety of reliable public transit options. While Lansing is an urban center, it is still a small Midwestern city. There is no train system. Moreover, cabs and taxis are not widely available here. Therefore, for those of you who wish to explore Michigan and the greater Lansing area, and can drive here, we strongly recommend that you do so. The following list provides some of the establishments and activities that may be of interest to you while staying in Michigan this summer. You can find a map of MSU’s campus here. Click here to link to a map of East Lansing. Click here to access a map of Lansing. Welcome to Michigan State University and East Lansing. As mentioned above, Michigan’s economy has long been based around the auto industry and, as such, is rather “spread out”, also lacking any comprehensive systems of public transportation. This is true even in Michigan’s metropolitan areas. Because of this, the buses in Lansing run less efficiently than those of you from larger cities around the country may be used to. Additionally, taxis or cab services in Lansing are few in number and can be very expensive when compared to services in other American cities. If it is possible for you to drive to the institute this summer, we recommend you do so. If this is not possible for you, there are other options. 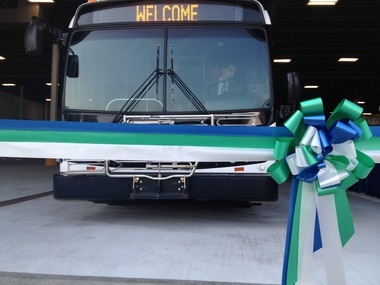 The Cities of East Lansing and Lansing are serviced by the Capital Area Transit Authority (CATA) Bus Service. CATA buses provide access to various points around campus as well. A map of CATA’s routes in and around the East Lansing area can be found here. CATA does not provide service outside of the Lansing area. We understand that those of you who are flying to Michigan will likely be arriving at Detroit Metropolitan Wayne County Airport (DTW). The airport is roughly an hour and thirty minute drive from Lansing. Car rental is available at the airport. There is also a bus, The Michigan Flyer, that between Lansing, Ann Arbor and the Detroit Metro Airport. The Michigan Flyer service from Detroit Metro Airport ends at the Marriott Hotel in Downtown East Lansing, close to MSU’s campus. Sindhu Indian Cuisine– Located just east of Michigan State’s Campus in the Hannah Plaza, Sindhu Indian Cuisine offers a variety of lunch and dinner entrees. It is also well-known for its reasonably priced lunch buffet during the weekdays. Woody’s Oasis– Located in Downtown East Lansing, Woody’s Oasis offers Mediterranean cuisine and a full bar. Woody’s is a short walk from campus, is great for lunch or dinner, and has reasonably priced food and drinks. Harper’s Restaurant and Brew Pub– Harper’s has moderately priced food, such burgers, sandwiches, pasta, fish and chicken entrees, microbrews and variety of entertainment, ranging acoustic acts to club music. Harper’s is also well-known for its half-off Wednesdays, during which all food and drinks are half priced all day. Harper’s is about a 5 minute walk from north campus. Dublin Square Irish Pub– Dublin square provides typical pub food as well as some traditional Irish dishes, such as bangers and mash and corned beef. Dublin square is also in downtown East Lansing, across from campus. Qdoba– Qdoba is middle of the road Mexican restaurant that borders on fast food. The food is fairly cheap and Qdoba is popular spot to get lunch, as it is adjacent to campus along Grand River in Downtown East Lansing. Taste of Thai– Taste of Thai is a cheap Thai restaurant about 5 minutes’ walk east from Downtown East Lansing. They provide both dine-in and carry-out options and have a wide variety of Thai dishes that range in heat and spiciness. Charlie Kang’s– Charlie Kang’s is a middle of the road Chinese restaurant that serves Chinese-American and authentic Korean food. Entrees at dinner are moderately priced, but the weekday lunch special is a popular value for those looking to eat Chinese in Downtown East Lansing. This restaurant is exceptionally close to campus, making it popular with students and faculty alike. El Azteco– Located along Albert Street in Downtown East Lansing; El Azteco serves the usual Mexican-American restaurant fare. With great prices on drinks and food, the most notable feature of El Azteco is its rooftop seating, which is popular in the summer time. The Peanut Barrel-The Peanut Barrel is a small establishment across Grand River from MSU’s north campus. They serve bar food such as sandwiches and burgers. They do not have a wide variety of foods here, but do have an outdoor seating area right on Grand River Avenue. Beggar’s Banquet– Beggar’s Banquet is a slightly higher-end Bar/Restaurant when compared to other Downtown East Lansing establishments. However, they have the area’s best selection of wine by the bottle or glass, and have weekly drink and food specials. This business also provides live entertainment on occasion, with the most prominent acts being local jazz musicians. Bravo Cucina Italiana– Located in Eastwood Town Center, 10 minutes’ drive northwest of campus Bravo is a mid to high end Italian chain restaurant that offers a variety of beef, chicken, and fish entrees, alongside a selection of pasta dishes. Mitchell’s Fish Market– Mitchell’s is a high end seafood restaurant that provides fresh fish and seafood daily. This chain restaurant is also located in the Eastwood Town Center on the East side of Lansing. Selections here vary on the availability of fresh fish. P.F. Chang’s China Bistro– A mid to high end Asian-American Fusion chain, P.F. Chang’s provides consistent service, reasonable prices and a wide variety of Chinese dishes. Conveniently located in Eastwood Town Center, P.F. Chang’s is close to retail stores and a movie theater. The Green Door Blues Bar & Grill– Best known for its live music, particularly Jazz and Blues, the Green Door provides live entertainment nearly every night of the week. Located on Michigan Avenue on Lansing’s East Side, the Green Door also offers drink specials and competitively priced bar food. Emil’s– A middle of the road Italian restaurant, Emil’s provides good food, generous portions and a reasonable price. The menu is typical of most Italian restaurants, heavily favoring the pasta dishes. Emil’s also has a wide variety of wines. Nuthouse Sports Grill– The Nuthouse is a sports bar in the Stadium District of Lansing, directly adjacent from the Lansing Lugnuts’ stadium. This bar has many large TVs dedicated with satellite access to sports channels from around the world. The Nuthouse serves the average bar-style menu, with sandwiches, burgers, pizzas and fried food. Palace of Jamaica– This carry-out restaurant is a small business on the outskirts of Washington Square. The Palace of Jamaica maintains a reputation as the best Caribbean food in Lansing. This is likely true as it is the only Caribbean restaurant in the area. Tropo– Tropo is a high-end bar/restaurant one block from the Capital building in Downtown Lansing. This establishment touts its atmosphere as a selling point, with a sizable outdoor dining area, and an elaborate indoor bar and dining area. Tavern on the Square– This is a slightly higher-end restaurant/bar in Washington Square in Downtown Lansing. The most notable features of this establishment are the large outdoor seating and dining area along Lansing main thoroughfare and the large outdoor TV for watching the game. The Firm Food and Spirits– The Firm is best known as one of Lansing spots to get a drink and socialize. The Firm provides typical American fare, and is most often populated with Law Students and Professors from Cooley Law School, which is nearby. Centrally located in Washington Square, the Firm provides happy hour specials and other daily drink and food specials. Kelly’s Irish Pub– A small Irish pub located in the heart of Washington Square in Downtown Lansing, Kelly’s has moderately priced bar food and drinks. Kelly’s provides a better value than many of the other restaurants in Downtown Lansing. Altu’s Ethiopian Cuisine– Altu’s is about 5 minutes’ drive west of campus, near the Frandor Shopping center on the border of Lansing and East Lansing. It is the only African cuisine in the Lansing area and despite limited service hours, they provide live Ethiopian music on the weekends. Eastwood Town Center– The Eastwood Town Center is located 10 minutes northwest of campus, on the east side of the city of Lansing. 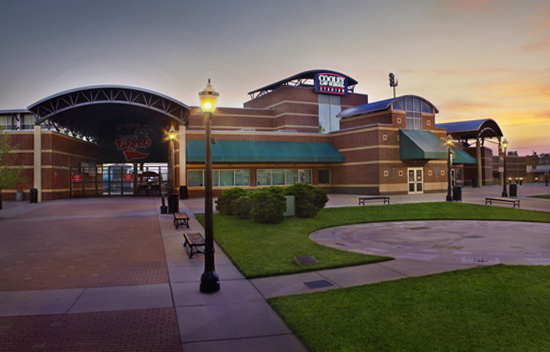 This outdoor mall features a promenade with moderate to high-end retail stores and restaurants. There is also a large movie theater (NCG Cinemas) in the Eastwood Town Center. Meridian Mall– Meridian Mall is located 15 minutes east of MSU’s campus in the city of Okemos, Michigan. This indoor shopping mall has a variety of clothing stores, bookstores, computer and tech stores, and other retail stores. Meridian Mall is located along CATA’s route 1, which runs directly from downtown Lansing, through Downtown East Lansing to the mall, where the route ends. Frandor Shopping Center– The Frandor Shopping Center is about a mile west of Campus on Michigan Avenue. It is the closest area to campus with a grocery store, salons, a hardware store and other retail stores. There are also a number of restaurants and fast food restaurant chains in the Frandor Center. Lansing Mall– The Lansing Mall is a large indoor shopping mall with the usual collection of retail stores and restaurants. It is located on the West side of the city of Lansing, roughly 25 minutes’ drive from MSU’s campus. Downtown East Lansing– Downtown East Lansing is directly opposite of Michigan State University’s campus, just north of Grand River Avenue. 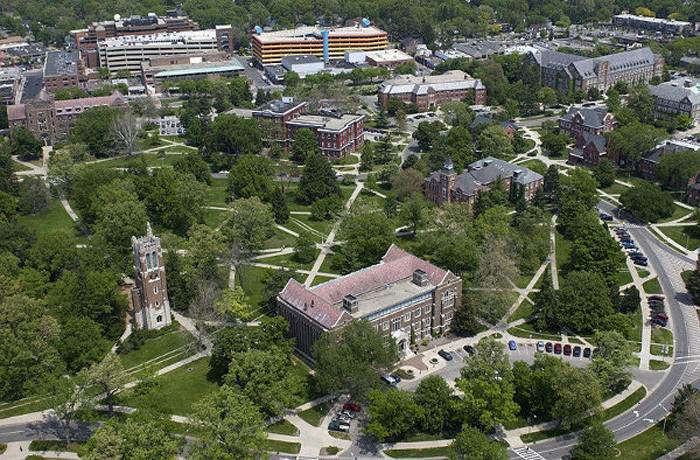 This is popular area for MSU’s undergraduates and is filled with a range of restaurants, bars, and clubs. In addition, there are scores of carry-out and chain restaurants. Downtown East Lansing is also home to clothing stores, record shops, art galleries and other retail stores. Downtown Lansing– The main areas of commerce, business and nightlife in Downtown Lansing are Washington Square and Old Town. Washington Square runs through the heart of the city center, adjacent to Michigan Avenue and the Capital Building. This area is home to a diverse array of businesses, restaurants, clubs, hotels, bars and pubs. Old Town is just north of Washington Square and provides access to small boutiques, arts and crafts and specialty stores. 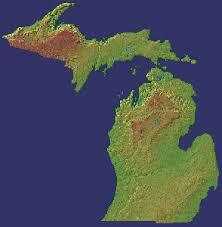 Michigan boasts a number of sites and attractions that might be of interest to visitors. Please feel free to see some of these during your weekends off; you could also arrange to come in before the institute begins, or stay back to enjoy some of these after the institute ends. Michigan State Capitol Building– The center of Michigan’s state politics lies in Downtown Lansing, just 10 minutes west MSU’s main campus. Guided tours of the Capitol Building are available during business hours during the week days. Michigan Historical Museum– The Michigan Historical Museum is situated just west of the Capitol in the aptly-named Museum District. This museum house artifacts and exhibits dedicated to re-telling the history of the state of Michigan. Michigan State University Museum– This museum, which is located across from MSU’s main library on campus, offers a number of special exhibits dedicated to the works of scholars and academics from the University. In addition to temporary exhibits, this museum also has a permanent exhibit dedicated to the University’s history. Eli and Edythe Broad Art Museum– Formerly the Kresge Art Museum, this structure houses Michigan State’ University’s diverse collection of artwork. Photographs, paintings, sculptures and other art pieces can be found at the Kresge Art Museum, which is located in the heart of MSU’s campus. The Wharton Center– Michigan State University’s Theater, the Wharton Center brings first class musicals, plays, and other live performance arts to Michigan State’s Campus. The Breslin Center– Home to the legendary MSU basketball program, the Breslin Center is centrally located on campus and serves as a venue for national touring musicians, comedians and entertainers who stop in Lansing. The Lansing Center– The Lansing Center is located in Downtown Lansing and functions as a venue for a variety of seminars, expos, events and occasionally concerts. The Potter Park Zoo– Lansing’s only zoo, Potter Park features a multitude of exhibits and displays based around the many animals they house. In addition, special events are held at the zoo, particularly aimed at younger kids. The Zoo is on the South Side of Lansing. Kayaking– The Red Cedar River and Grand River run through the East Lansing/ Lansing area and provide miles of scenic river that runs in both rural and urban settings. Hiking- A short 20 minutes’ drive from Michigan State’s campus, the exposed rock ledges in the small city of Grand Ledge, Michigan provide picturesque nature scenes that are unrivaled in Mid-Michigan. The only exposed rock face of its kind in Michigan’s lower peninsula makes the Grand Ledge nature trails provide unique insights into the geological history of Michigan’s terrain. *note* for those of you who enjoy rock climbing, please be aware that Grand Ledge’s rock faces are not intended for use as actual rock climbing sites. The rarity of this formation in the area has led to its protection from human activities such as rock climbing. Swimming; Boating; Lake Recreation- For fans of water sports, swimming or simply lying on the beach, Lake Lansing is the Capital area’s only sizable lake. Located roughly 25 minutes northeast of Michigan State’s campus, Lake Lansing provides access to picnic areas, paddle boat rentals, boat launches and other Lake-related activities. *note* Lake Lansing is a small, inland lake. Those looking to catch of glimpse of Michigan’s many miles of Great Lake coastline will have to travel out of the area to do so. Golf- Lansing is home to handful of golf courses with varying prices, tee-time availability and difficulty. Click here to view a listing of Lansing’s many golf courses, including Michigan State University’s Forest Akers Golf Club. Disc Golf- The Lansing area is home to two great disc golf courses. Grand Woods Park provides a well-organized, 18-hole course that runs along the Grand River on the west side of Lansing. Fitzgerald Park also has an 18-hole disc golf course that runs along the exposed rock faces of Grand Ledge, Michigan. Detroit, Michigan– Detroit is Michigan’s largest city. Situated in southeastern Michigan, roughly an hour and a half drive from Lansing, Detroit’s Riverfront is populated with businesses, bars and restaurants, as well as provides stunning views of Windsor, Canada. Detroit is home to Major League Baseball’s 2012 A.L. Champion Detroit Tigers, the historic Detroit Red Wings and the historically bad Detroit Lions. In addition to professional sports teams, Detroit also houses many museums, such as the African American History Museum and the Detroit Institute of Art, live music venues (The Fox Theater, the Majestic, St. Andrew’s Hall) and Casinos (Greektown Casino, MGM, Motor City Casino). Those choosing to travel to Detroit should be aware that, statistically, Detroit ranks among the top 5 cities in America for violent crimes. This is included not to discourage travel to Detroit, but simply to remind visitors that they need to gain some familiarity with the city before traveling there, to avoid areas that are most-often associated with these crime statistics. Most of the areas that house Detroit’s major attractions are actually quite secure and can be reached directly by the major highways. If you have any questions or concerns, program coordinators can assist you in making travel plans. Detroit is also directly across the Detroit River from Windsor, Ontario, Canada. note* For those wishing to travel to Canada, please be aware that Border Patrol requires a US passport when crossing the Detroit River into Canada. For scholars who do not hold US citizenship, please be aware that you must obtain a Visa before traveling to Canada. Grand Rapids, Michigan– Located on the western side of the state about an hour and forty minutes from Lansing, Grand Rapids is Michigan’s fastest growing city in terms of population and economy. With a nightlife culture that reflects the young working class of the city, there is no shortage of attractions for the visitor. Grand Rapids’ live music scene is arguably the best in the state. The Intersection provides a venue for local musicians as well as national touring acts. If you are looking to catch one of your favorite “superstar” performers, the Van Andel Arena is generally included in the tour dates of most artists playing in the Midwest. Kalamazoo, Michigan– Kalamazoo is situated in Southwestern Michigan and is home to Western Michigan University. In addition to a stunning aviation museum (The Kalamazoo Air Zoo), visitors of Kalamazoo are also encouraged to try Michigan’s most popular micro-brews and the great food at Bell’s Brewery. In addition to other local attractions, Kalamazoo also has an ECHL hockey team- The Kalamazoo Wings. Mackinac Island, Michigan– The Island is Michigan’s most notable tourist locale, in “the Straights” between Michigan’s lower and upper peninsulas between Lake Michigan and Lake Superior. Mackinac Island provides unique views of the Great Lakes scenery that surrounds Michigan. The Island can be reached by ferry and prohibits the use of motorized vehicles. Thus, traveling to Mackinac takes the visitor back in time, with bikes, horses and horse-drawn carriages providing the Island’s transportation. In addition to historical sites, such as British Landing and Fort Michilimackinac, the Island is home to amazing views and natural features such as Arch Rock. Roughly four and a half hours drive from Lansing, Mackinac Island is a must see Michigan attraction. Ann Arbor, Michigan– Home to the prestigious University of Michigan, Ann Arbor is a small metropolitan area, nestled on the banks of the Huron River. In addition to the university, Ann Arbor is well-known for its local art scene. Major music acts often play U of M’s Auditorium and Chrysler Arena, while local Michigan acts play at venues like the Blind Pig and Live. If you are a skilled kayaker, the Huron River has many access points that allow you to traverse Michigan’s most intense rapids. The Upper Peninsula– The Upper Peninsula of Michigan is, scenically, one of the most beautiful areas of Michigan. The Western Upper Peninsula is home to The Porcupine Mountains, Michigan’s largest (and only) mountain range. Here, hiking, climbing, camping, and other outdoor activities are easily found. However, the Upper Peninsula is a fairly large area and is difficult to travel to by road. Reaching the Western areas of the U.P. could take as long as 12 to 13 hours when leaving from Lansing. For comparison, one could easily reach the Smokey Mountains of Tennessee or New York City in this amount of time. Therefore, if you choose to travel to the Upper Peninsula, please plan the trip carefully and know, clearly, where it is in the U.P. you are going. The Sleeping Bear Dunes– The Sleeping Bear Dunes are a series of large sand dunes in the northwest corner of Michigan. Access to these dunes is usually reached through Glen Arbor, Michigan in the Leelanau Peninsula. The area has a national park and provides opportunities to camp, swim, fish, kayak and hike. The Dunes are roughly 25 miles from the popular tourist enclave of Traverse City, Michigan.